For many, blogging has become a reliable source of income, and a full-time job. Thus, a business on its own – handled professionally, managed tediously, and with care. However, for many seasoned bloggers, tasks such a deleting short, phished and unrelated comments could become such a nuisance. When I started blogging in 2002, it was such an exciting venture! I had a vision. I was going to share the experiences I wrote on my blog everywhere, make sure I comment and communicate with other bloggers, as well as share whatever I found was interesting, to everyone I could. With hopes of ultimately growing my following, visitors and readership. What I didn’t know was I was committing so many “no-nos” known in the blogging world. Question is, are you guilty of them too? I used to be a shameless “link drop”-per. What is this heinous crime?! Link dropping is when you visit a website, leaving your site link in the comments, to try and get visitors to your own blog or site. 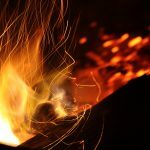 Some leave their site links after making a comment on the article, and a few have been blatant enough to just leave their links without any sort of reciprocal interaction. Why is this a bad practice? You may think “it’s not that bad! Doesn’t bother me!” Yes. It may not bother you, but it’s a bit lazy to deviate the site owner’s visitors to your own website just so you can boost site visits, isn’t it? The article was thought out, planned, mind mapped, drafted, written, typed, read over, edited, re-read, re-edited, re-read, re-edited, read for the last time, and went through final edits just before it was published. For some this may take a few hours, but for many SAHMs it could take an entire week, because kid #1 has been having an emotional roller coaster, and kid #2 won’t stop whacking at kid #1. 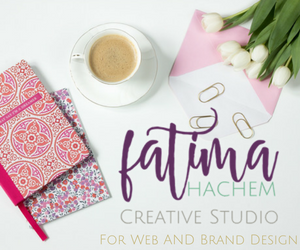 Now imagine that you did all of this work and process, just so another blogger can drop their site link to steer your new and/or faithful readers to their site. So, do you still not mind? Don’t get me wrong, link dropping is bad practice, but the only time this should be allowed (by the site owner’s discretion) is if you are adding value to the article topic by providing your own, very relevant article link. It really doesn’t make sense to drop a link to your OOTD when the article you’re dropping your link on is about something as unrelated as schizophrenia, does it? -Matt Cutts, former head of the web spam team for Google from this article. It’s always good to keep in mind how you would feel if a random link is added to your comments section that you manage meticulously and frequently. One spam comment might be fine for a website with 1k visitors per month, but when your site gets to 10K visitors monthly, chances are you’ll be getting more spam comments to delete. Not very productive. I forgot to add links to literature and images I used. Whether you were busy, distracted or whatever else, if you are quoting or using other people’s work, it is the most appropriate to add the url, link to the article, or your collaborators site and share the visitors you gained. Some way to recognize who the real owner is of the finished product. Why? For one reason: copyrights infringement. Maybe it was from a book, photographer, or another blogger’s article. The same rules apply regarding who owns the content. A smart blogger would add the referral link to the content that was borrowed from someone else because you wouldn’t want to get sued. Also, most images you’ll find online are protected by a form of the copyrights law called Creative Commons law. It would be in your best interest to read up on these laws to avoid a “cease and desist” letter in your mailbox. You may be thinking how? • Do you want your blog visitors to click on the comment link? • Is the author of the comment using a real name or keywords? • Is their comment relevant to the post? • Is the same author using different email addresses when they comment on your other posts? • Does the comment author use a legit email address? Although it is tempting to type in less than eight words for comments, as well as adding in your link to try boosting your own site visits, bear in mind that Google is watching the way you comment and use your links to deviate traffic. The same applies to your own site. If your main link building strategy is to use your comments to point to pages or articles on your site, Google will figure it out and your site will be penalized. They call this a link scheme. If you are commenting just for the purpose of fulfilling a comment thread that you signed up for in a Facebook group (like the very awesome Muslimah Bloggers group) WITHOUT actually reading the article first, you will come up with a very irrelevant, insincere or inaccurate comment, which may make you look like an unreliable source! There’s a reason why the saying “content is king” exists. Great content doesn’t only apply to writing articles, but comments as well. When you’re commenting on the article, you’re helping the site owner with more relevant content, and even maybe keywords you didn’t know you were using! Besides, your not so well thought out comment could land the rest of your future ones straight to the trash bin. You wouldn’t want that to happen! A few other things that you may be tempted to do is to leave short and “copy pasted” comments. Google scans comments, unbeknownst to many, that are less than 8 words long, as well as “copy pasted” ones. When the Google team determines that your comment is spam, it will hurt the SEO of the website you’re commenting on. Google will penalize a blog that has too many suspicious comments and links that can be found from other sites it has crawled, while the goal of all is the opposite. 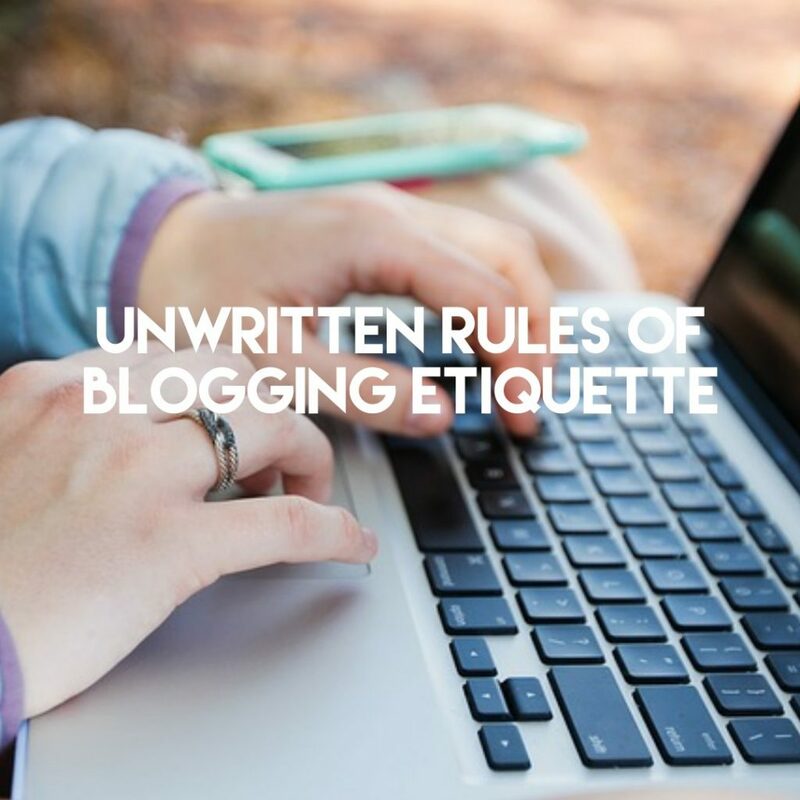 These are just a few bad blogging business practices and etiquettes I had to learn, to prevent myself from being a nuisance or causing harm to other’s blogs and/or businesses. The best thing anyone can do, is learn from my past mistakes. I figured, since I’m a dinosaur, I might as well shed some light into a small piece of what makes the blogging world tick. You never know if it’s your blog rank at stake, and you certainly should not try to unknowingly harm someone else’s site for a few dropped links. Be informed. Stay informed. Are there other unwritten etiquettes we missed? If so, let us know in the comments below! 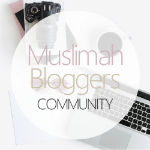 Also, show MB and MMU some input about this article by tagging @muslimahbloggers @muslimmommyusa with #blogetiquette on Instagram, Facebook, and Twitter. 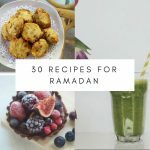 Raya Najjar is the Creator and owner of Muslim Mommy USA, where she provides printables and blogs about Muslim lifestyle and parenting in the West. I didn’t know links to a borrowed literature is a must. Always thought mentioning author name and blog name is sufficient. Thanks for sharing, Raya. I am new to blogging so this article was very informative and helpful.